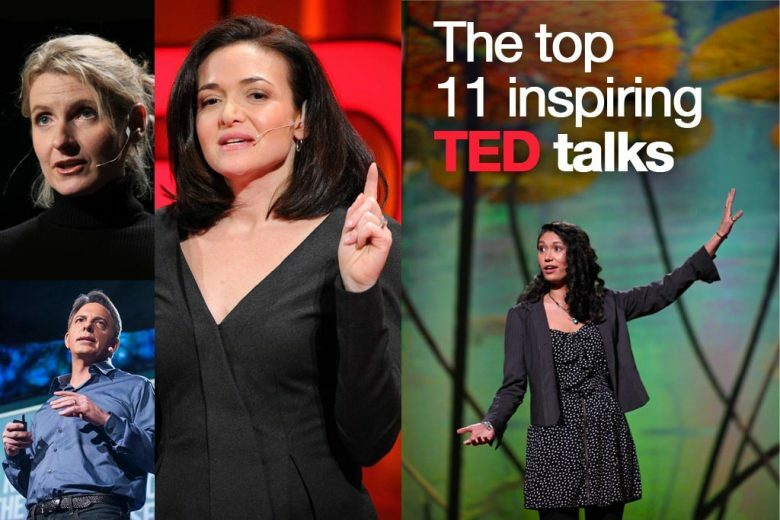 The top 11 inspiring TED talks (as chosen by you)! We make no secret about being huge TED fans. We’ve learned so much and been hugely inspired by listening to some of the world’s most experienced and knowledgeable experts and leading thinkers. So inspired in fact, that we thought it was selfish to keep the cream of TED all to ourselves. Instead, we decided it would be a great idea to share some of the gems we’ve found – and discover some new ones. So a few weeks ago, we asked everyone in our LinkedIn group to name their all-time favourite TED talk. And here’s the magnificent 11 they came up with. In 1994, Sheila Norgate (visual artist, performer, feminist, author, lesbian, and lover of dogs) came across an old etiquette book for girls. It changed the trajectory of her life, and explained why Norgate grew up feeling truncated and pruned back. We’ve loved watching other people’s pick of TED – and are hungry for more. So please share your favourites too. Which TED talk has left you with goosebumps, or fired you up into positive action? Made you look at life differently, or uncovered a new world of potential? We’d love to discover what we’ve missed – and share it with our readers. So please let us know in comments, tweet us or post a link on our Facebook page – and help spread a bit of TED wisdom around the world!